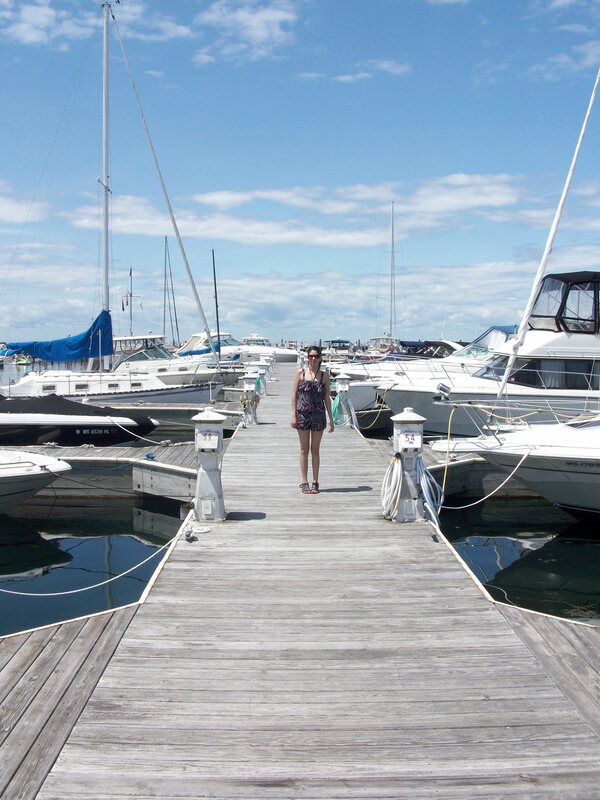 My favorite thing about this summer: the romper trend! Or as my boyfriend likes to call it the “onesie.” They are just so freakin’ cute. And they’ve been around forever. Case in point: as soon as my mother saw it, she got super excited and started telling me about the one she had as a teenager. Well, I’m glad they’re on permanent rotation nowadays. 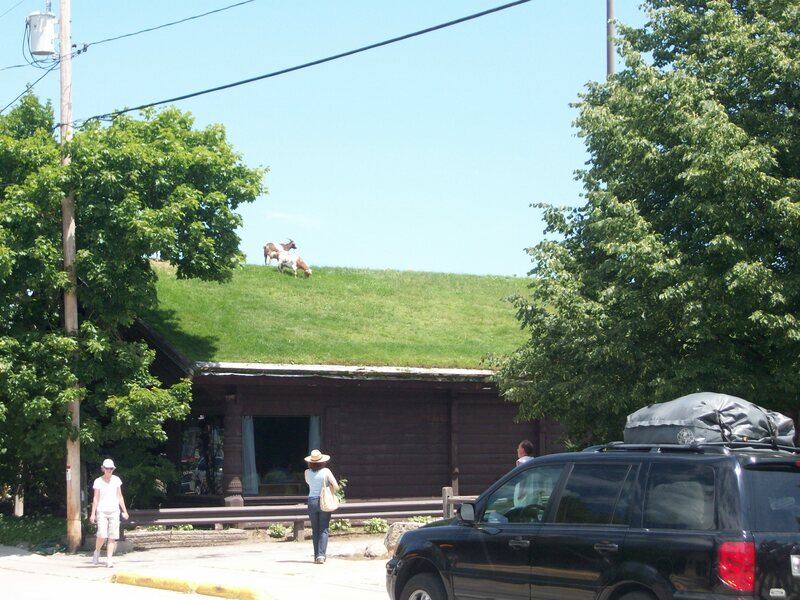 And, my favorite scene from the weekend in Door County: Goats on the roof! Only in Wisconsin…and maybe Sweden? the colors and print on the romper is loverly! i think these onepiece ‘onsie’/romper/jumpsuit things are the cutest, but i’m afraid of having to take it all off when having to use the restroom. is it all that bad? I suppose that would be annoying. I’ve only worn it twice so I haven’t had any bad experiences…yet. This time I wore it as beach cover up so I stripped down with no shame 🙂 the 2nd, I wore it downtown, but my heels were killing me so bad that I ended up going home before I even had a chance to use the restroom. Haha I guess I’m no help.